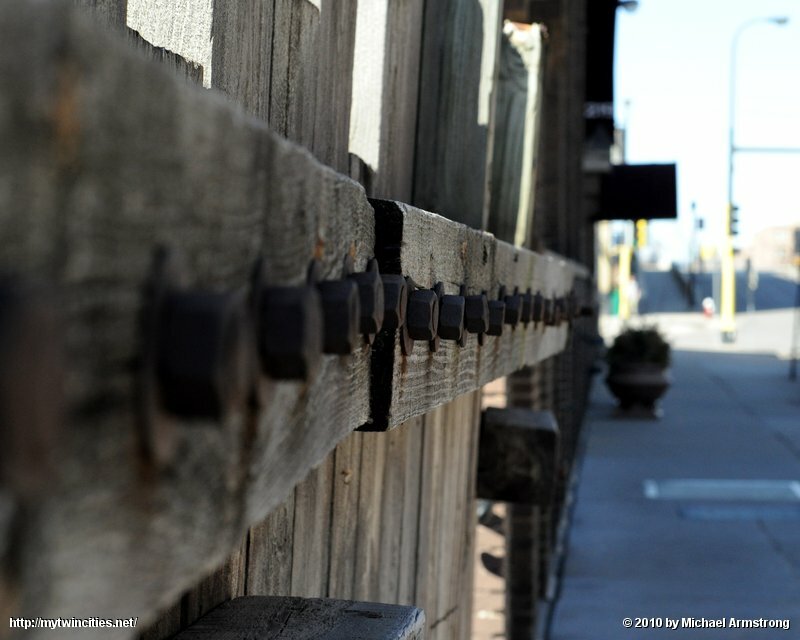 Along North 2nd Street, just East of 3rd Ave North, there's a parking lot with this wood retaining wall. It's solid, but has been crooked for as long as I can remember. Rough wood and exposed bolts in this day and age of rounded corners and making everything as safe as possible.